The Macomb County Health Department collects, analyzes and disseminates many different kinds of statistics on the health and health status of Macomb County residents.  Use this page to find health statistics for Macomb County or as a link to other state and federal health statistics resources. Macomb County Health Department has completed a Community Health Assessment (CHA) and is currently writing a Community Health Improvement Plan. You can find information on our process and read the CHA on our Community Health Assessment web page. Macomb County Health Department utilizes a performance management system to ensure achievement of its mission, strategic plan and community health improvement plan. We want to know how well we and our partners are performing so we can adjust public health strategies accordingly. Performance management scorecards are linked on our MCHD Performance Management web page. What is a Behavioral Risk Factor Survey? The Macomb County Behavioral Risk Factor Survey (BRFS) is a telephone survey of Macomb County residents and is the only source of county-specific, population-based estimates of the prevalence of various health behaviors, medical conditions, and preventive health care practices. The data is presented by age group, gender, race, education level and household income level. These results are used by health agencies, academic institutions, non-profit organizations and others to develop and evaluate programs that promote the health of Macomb County citizens. The 2015 Macomb County Behavioral Risk Factor Survey is currently being conducted by Michigan State University. A random sample of residents will be called during November and December to be invited to participate in the survey. If you have any questions on health statistics, give us a call at (586) 469-5699 or E-mail us now!